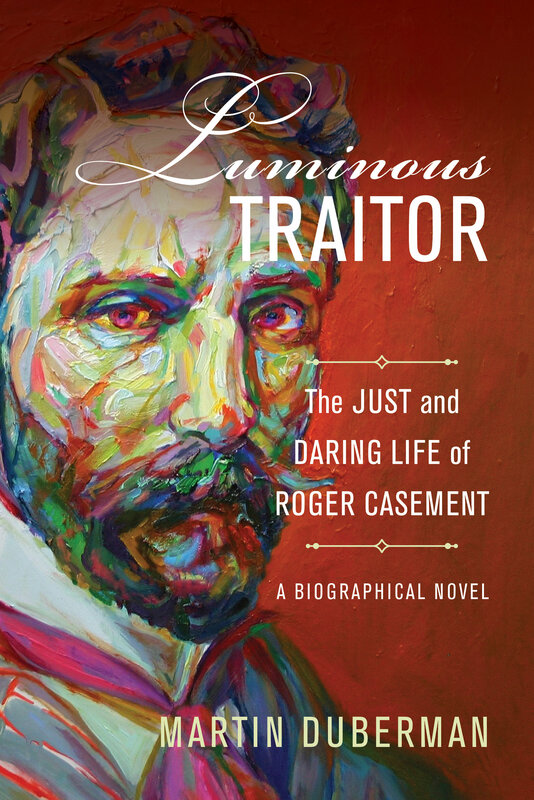 Roger Casement was an internationally renowned figure at the beginning of the 20th century, famous for exposing the widespread atrocities against the indigenous people in King Leopold's Congo and his subsequent exposure—for which he was knighted in 1911—of the brutal conditions of enslaved labor in Peru. An Irish nationalist of profound conviction, he attempted, at the outbreak of World War I, to obtain German support and weapons for an armed rebellion against British rule. Apprehended and convicted of treason in a notorious trial that captured worldwide attention, Casement was sentenced to die on the gallows. A powerful petition drive for the commutation of his sentence was inaugurated by George Bernard Shaw and a host of other influential figures. A gay man, Casement kept detailed diaries of his sexual escapades, and the British government, upon discovering the diaries, circulated its pages to public figures, thereby crippling what had been a mounting petition for clemency. In 1916, he was hanged. In this gripping reimagining, acclaimed historian Martin Duberman paints a full portrait of the man for the first time. Tracing his evolution from servant of the empire to his work as a humanitarian activist and anti-imperialist, Duberman resurrects and recognizes all facets—from the professional to the personal—of the fantastic life of this pioneer for human rights. Martin Duberman is Distinguished Professor of History Emeritus at City University of New York, where he founded and directed the Center for Lesbian and Gay Studies. He is the author of numerous histories, biographies, memoirs, essays, plays, and novels including Has the Gay Movement Failed?, Cures: A Gay Man’s Odyssey, Paul Robeson, Stonewall, Black Mountain: An Exploration in Community, The Worlds of Lincoln Kirstein, and more than a dozen others. He is the recipient of the Bancroft Prize, multiple Lambda Literary Awards, and the Lifetime Achievement Award from the American Historical Association, and he has been a finalist for the Pulitzer Prize and the National Book Award. In 2012 Duberman received an honorary Doctor of Humane Letters from Amherst College and in 2017 an honorary Doctor of Letters from Columbia University.